One of the biggest factors in cost when it comes to transport is the amount of fossil fuels that need to be purchased for the journey. Drones are usually electric and very energy efficient. This makes them much cheaper to use than trucks, lorries or planes. A drone is able to fly and is significantly lightweight. Of course the amount of time it takes to reach its destination will depend on the weight of the package it is carrying. Regardless, it will still weigh less than a traditional transportation vehicle. This allows it to move faster and get to the customer in a more efficient time frame. This also means that companies are able to entice new customers by offering faster delivery times than their competitors. A truck driver is limited by the amount of road he is able to travel. It is all well and good to travel through motorways in order to transport a package from A to B. However, a drone can move as the crow flies. Instead of being restricted by roads it can move in a straight line. This means it can cover more distance in less time. When a company uses a truck to deliver their goods they are relying on the judgement of a human being. The human brain is unfortunately flawed and prone to mistakes. They may crash, for instance. 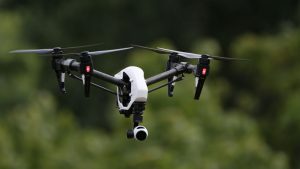 Drones are increasingly being equipped with artificial intelligence and advanced mapping systems. This allows their navigation to be much more reliable than a human. They are also often unmanned, which means the company has one less employee to pay.